April 9, 2014 – A potential candidate for the Egyptian presidency announced today that he will order the use of military force against Ethiopia if the latter does not suspend the construction of the Grand Renaissance dam. 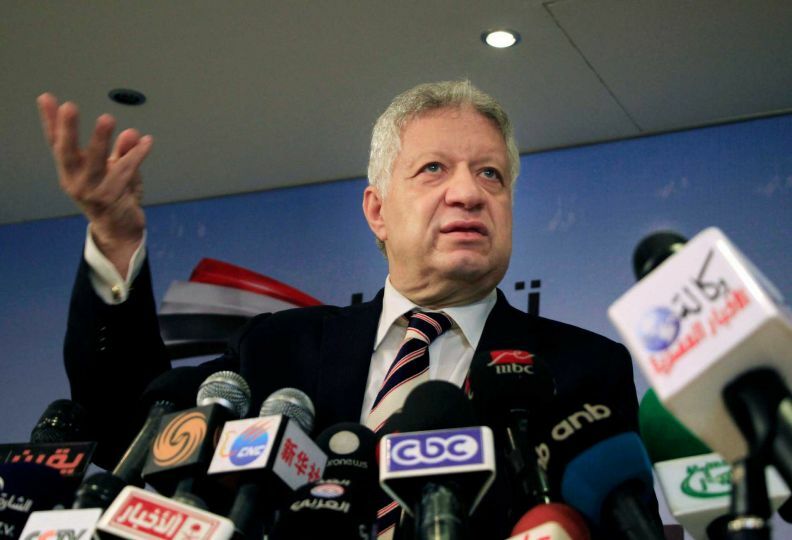 In announcing his presidential bid at a press conference on Sunday, lawyer Mortada Mansour said that “water for Egypt is Egypt’s life”. “There” are signed international conventions ... There are two agreements, one in 1929 and the other in 1959 to regulate water usage between Egypt and Sudan,” Mansour added. The controversial figure, who was elected last week as head of Cairo’s Zamalek Club, accused Israel of standing behind the Ethiopian dam project and dismissed popular initiatives to resolve the dispute with Addis Ababa. “There are international organisations that failed [to mediate] and Ethiopia stuck to its position. Just like they threatened to use their army, Egypt has an army. If Israel which is inciting Ethiopia learned a lesson from the Egyptian army in 1973 [war], you are threatening my life. I will not allow you to build your dam and block water from me and in the end famine occurs among the Egyptian people and we kill each other for a drop of water,” Mansour said. “Just like they showed off and brought their generals around the dam and said if Egypt can come. No we also have generals and planes O’ Ethiopia that can reclaim Egypt’s rights because we will not allow a drop of water to be cut, to have drought in the country, in agriculture, people can’t find a drop of water. This is vital for us. I thought that for subsequent Egyptian administrations that the issue of water is a life or death issue. This is not up for discussion,” he added. Egypt fears that the $4.6 billion hydropower plant will diminish its share of the river’s water flows, arguing its historic water rights must be maintained. Ethiopia is the source of about 85% of the Nile’s water, mainly through rainfall in its highlands, with over 90% of Egyptians relying on water from the Nile’s flows. In June 2012, a panel of international experts tasked with studying the impacts of the Ethiopian dam on lower riparian countries, including Sudan and Egypt, found that the dam project will not cause significant harm to either country. If Mansour’s candidacy is endorsed by the presidential commission he will face former Egyptian defence minister Field Marshal Abdel-Fatah El-Sisi, who is widely tipped to win. Leftist political figure Hamdeen Sabahi has also pledged to contest the elections. Mansour has made a failed bid to run for president in the 2012 elections but was disqualified by the elections committee. According to a profile by the Daily News Egypt, Mansour said in 2011 that he did not “have the right to run” for president because he is “ill-tempered”. In April 2011, Mansour was accused of being involved in Tahrir clashes commonly dubbed “the Battle of the Camel” on 2 February, which left 11 demonstrators dead and hundreds injured. He was later acquitted of all charges however. He ran in four parliamentary elections in 1990, 1995, 2000 and 2012, but only won in the 2000 elections. In 2012, he lost to an opponent from the Muslim Brotherhood. He is well known for his hot temper and was taken off air in TV phone interviews a number of times for using obscene language. Mansour is also seen as someone who is obsessed with filing numerous police complaints and lawsuits against figures he has disputes with.